Hi guys! 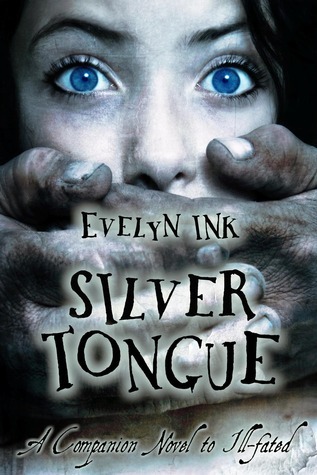 Today I welcome Evelyn Ink, author of Ill-fated and Silver Tongue. Evelyn’s books don’t fall just within one genre but encompass the elements of fantasy and steampunk to help create fun and exciting world. So check out her post on writing and inspiration, her books and a giveaway below. Steampunk has been dissected, categorized, and re-categorized so much that sometimes I’m unsure where my books fit into the genre. The best description I can give is that Ill-fated and Silver-Tongue are alternative-world steampunk. That is to say, like Neil Gaiman’s Stardust, my “steampunk” books are set in an invented world rather than an altered Victorian-era. Within the pages of Silver-Tongue there is less of this transitional, clock-work culture shock, though the main character, Belin, is introduced to the newfangled “auto-chaise” and sky ships play a more prominent role in the story. That said, I would have to label both works as “light” steampunk. The reason being, they are steampunk in setting only. Everything takes a backseat to plot and characters, and unlike many fantasy and steampunk writers, I do not spend a lot of time expounding on the “science” behind the machines. This is a plus for some readers and a let down for others, but I myself enjoy the visual world of gadgets and gears without the overly scientific explanations. Also, like most fantasy writers I come at my plot from many angles, mixing medieval inspired monsters and magic with gears, gadgets and neo-Victorian inventions. As a writer, I find steampunk to be a brilliant visual concept with limitless possibilities. My primary goal as a writer was to create a story someone of any age might enjoy. A fantasy book, not just for fantasy readers, but adventure in a world just touched with magic. I was thinking Princess Bride meets Stardust when I started: magic, adventure, witty dialogue, and a dash of steampunk. Besides Nail Gaiman (Stardust) and William Goldman (Princess Bride), I was inspired by a strange medley of new and old writers: D.M. Cornish (The Foundlings Tale series), JRR Tolkien, Jane Austen, Nancy Mitford, and Terry Pratchett (just to name a few) and all for different and inexplicable reasons not necessarily related to the genre of fantasy. One of the most fun things about writing fantasy is inventing words and place names. I have always loved writers who immerse you in their world with language (think of Tolkien’s use of Norse mythology and Rowling’s use of Latin). Whether they’ve invented new words, or brought back old, rare words with a twist, it definitely sets up the whole feel of a fantasy world; making it more vivid and real, or strange and surreal. A few of my favorite invented words were: Idlerile for a stream and roughrunnel for a river, moonbloom for phosphorescence, and some fun names for trees and plants like: gingerburn, sallow trees, poppyglums, and rosedeads. Character names and place names are just as much fun. In real life villains are named Dennis, and dreadful, dismal towns are called Point Place, but in a world where you can create an immediate mental image with just a name, why be dull? I usually come up with my names after the invention of the place, in hopes that the name will capture the feel and mood of it (Within my YA fantasy Ill-fated a few of my favorites were: the Fiercehollows, the Iron Spine, and Deadroamer). First names and surnames are just as important (Would Lord Voldemort be as terrifying if his name were Terry?). My favorite name so far is Captain Erastacus Oren– and yes, of course he is evil. 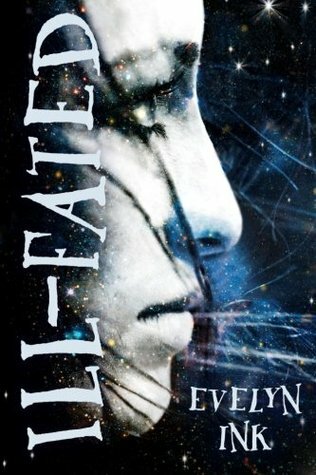 Currently I am writing the sequel to Ill-fated. My most recent release Silver Tongue is a companion to this book (same world, different characters), but is a stand-alone novel. If you are interested you can skulk about on my blog. Leila Edgewick stands on the brink of disaster; balancing the fate of Bainland and her father’s legacy against a vague, ill-fated prophecy. A meaningless number, a luckless red moon, and worst of all– a star that falls south– send Leila on a quest she does not expect to survive. Simultaneously, an unknown boy wakes up in the sunken hull of a decrepit cargo ship. Captured and mind-locked, the boy– dubbed “Sam” by the ship’s crew– must escape the infamous Bonesplitter and the dark schemes of one Captain Erastacus Oren. When Leila and Sam's paths cross, fate ties them together, sending them deep into the Ramble in search of the Wasteland Witches. Plagued by Sam's erratic memory and Leila's dubious rationale, they must outwit the Southland drudge hunters and take on the dangers of the Ramble. Deep in the tunnels and passages of the Grendel mines there is a mystery waiting to be uncovered – a secret weapon left behind and forgotten to all, but a few. As the alliances of a once stable country shift and rumors of civil war take rise, another mystery surfaces: children are disappearing. All over Shalendorf in every city and every province – young men and women are simply … vanishing. When the parlormaid from the Manse at Ivorydeep disappears along with two children from Catchfrost, Belin Vaulatrix is forced to take notice. For even far from Casterwick and the turmoil of the ruling families, Belin is having some drama of her own. A single letter sealed with the crest of the royal family has brought her world crashing down. 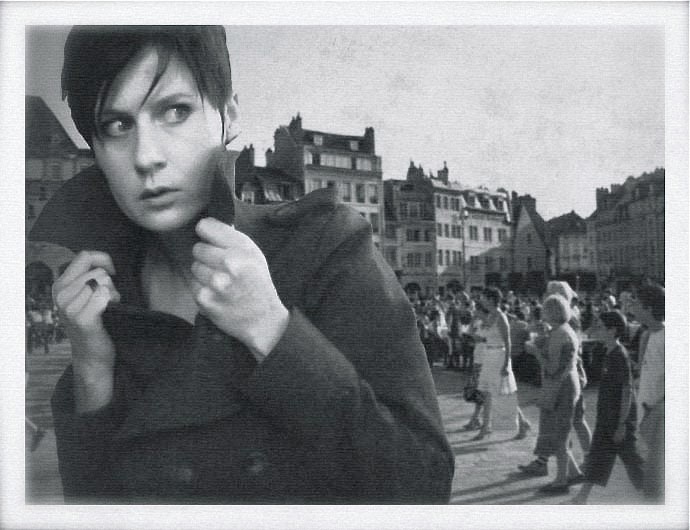 It is a request she cannot refuse and as the rumors, mystery, and tensions build, Belin plans a disappearance of her own. Having read & grown-up on epic/ high fantasy i am very excited about this book and the author's inspiration for it. ...however, i am new to reading 'Steampunk' and so i am most intregued! I'm not one to say steampunk just because it's Victorian Era. There are certain elements that need to be present. But, there are so many sub-classes in the fantasy genre that it's crazy to keep them all straight. And so many books cross those lines and carry more than one sub-class in them. It's hard to classify books these days. I like the way you classified your variation of steampunk. As long as the tale has the basic elements of the steampunk genre I welcome all the diversity. I've read one or two main stream published steam punk, but I have really enjoyed the more indie steampunk which have more freedom with their worldbuilding. Thanks for the chance to win and experience a new author! This is what I love the most about blogging - discovering new to me authors that I probably would've never heard of or had opportunity to read.